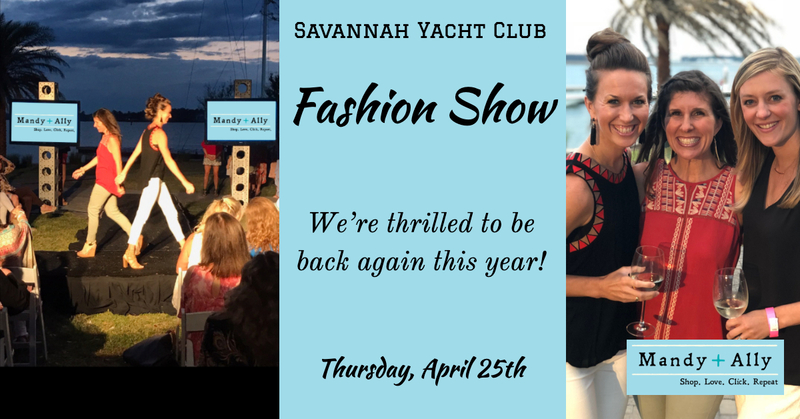 Join Mandy+Ally at the Savannah Yacht Club for a great night of cocktails, bites and the Big Fashion Show! Make sure you stop by and see us before the show begins. We will have our new 2019 collection of fashions and accessories! Sneak peek... these cute items will be in the fashion show!